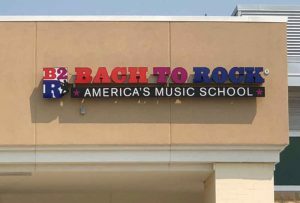 Bach to Rock (B2R), America’s music school for students of all ages, proudly announces the opening of a new school in Naperville, Illinois. The community is invited to the free grand opening festivities on Saturday, September 22, 2018 from 10 a.m. – 2 p.m. at 1212 S. Naper Blvd., #100, Naperville, Illinois, 60540. Attendees are welcome to tour the school, enjoy a free music lesson, learn about individual lessons and group classes, try out free toddler “Mommy and Me” classes, enter prize drawings and giveaways, check out the recording studio, and enjoy performances by instructors. “We are thrilled to be opening our newest school in Naperville. Almost exactly one year ago, we celebrated Bach to Rock’s 10th anniversary with the opening of our Northbrook school. It is with great joy that we introduce even more families in the greater Chicago area to Bach to Rock and our innovative music education program,” President of Bach to Rock, Brian Gross. The school will serve students of all ages and skill levels living in Naperville, Aurora, Lisle, Woodridge and Bolingbrook. With Bach to Rock, students learn to play today’s hits and jam with other kids from the start. It’s more of a group activity or team sport. A Bach to Rock music education is synonymous with fun, cool and innovative as students learn together and from each other. Students thrive as part of the creative and energetic vibe that comes from collectively making and learning music. 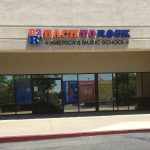 Bach to Rock Naperville will offer a variety of programs for students of all ages including: individual and group lessons in piano, voice, guitar, drums, DJ and more; music programs for preschoolers and toddlers; beginning piano for children in grades K-2; along with summer camps and birthday parties. 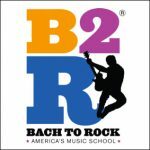 Bach to Rock also offers MyB2R, an online dashboard offering customers real-time access to student progress and more. 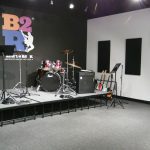 MyB2R is the only digital service of its kind in the music school industry, and provides the ability to track student advancement, schedule lessons, obtain homework and stream over 300 pre-recorded songs to practice at home. Nationally, Bach to Rock is experiencing a robust and steady growth, with 35 schools presently operating and 10 additional schools opening by the end of 2018. Nineteen of those schools are in eight Top Ten markets, ranked by population. The franchise is trending to become a $15 million brand, teaching over 10,000 children and adults this year alone, and over 45,000 since 1997.